Hey y’all, I wanted to share a delicious recipe that I whipped up for lunch today. I’ve always been a huge fan European food, especially French food, so I recreated a dish that I ate in Paris 3 years ago. Right here my friends is Croque Madame. First, I grilled the ham and Gouda cheese. 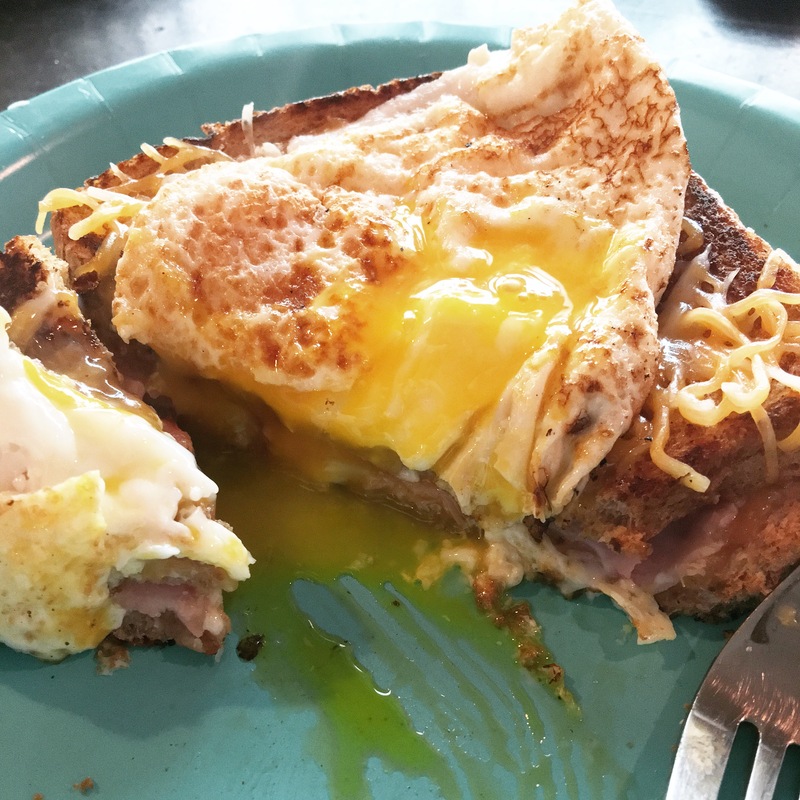 Second, I fried an egg, which I set on top of the grilled sandwich after sprinkling some cheddar cheese. You can either cook the egg until the yolk is well done or leave it runny. I personally think that this dish tastes even better when you can dip it into some of the runny yolk. Previous Post Super Long Recap!